After his stint with Rainbow and before the Deep Purple reunion in 1984, Roger Glover found time to get a new set of musicians into the studio in the States, and even got a budget from the record company! Unfortunately, the punchy single The Mask and the album got lost against the Purple reunion. 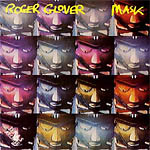 Mask is the third solo album by Deep Purple bassist Roger Glover released in June 1984 by 21 Records/Polydor. Recorded at Bear Tracks, Boogie Hotel and Le Studio, 1983. 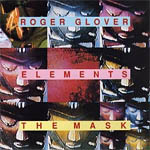 Produced by Roger Glover. Mixed by Roger Glover and Nick Blagona. The album was promoted with a couple of music videos. It was reissued on CD twice in the UK: in 1993 (Connoisseur Collection as 2CD together with "Elements") and in 2005 (Cherry Red/Lemon). None of these releases featured bonus material. The release on audio casette has "Unnatural" as bonus track.